I was recently told that I have the biggest microworm culture container they've seen. Being that this is my first attempt at breeding these things, I didn't anticipate how fast they would reproduce. 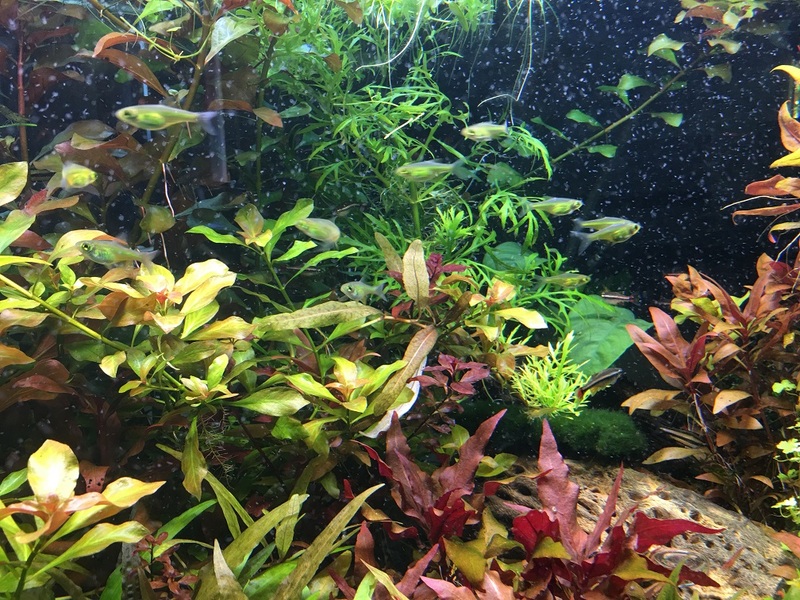 I decided to feed them to my fishes this morning and it seriously looked like a snow storm in my tank. I've been giving away small batches of the culture to members who came to pick up plants and/or snails. If anyone else wants some, let me know. I'll be able to give out 4-5 more batches. I raise Grindal worms, and have learned that their rate of reproduction is tied to how much I feed them. So if you find your culture growing faster than you need, feed it less, and it'll probably be easier to maintain and less likely to outgrow the culture and crash. Thanks! They are definitely fun to watch as they play and chase each other all in the middle column. If I read about them correctly, I believe that grindal worms live in inert substrate and you feed them pellets - e.g., dog/cat food. Whereas with microworms, their substrate is their food. So to reduce the growth rate of the culture, I plan to keep them in much smaller containers. That scoop-o-worms you gave me went into two containers. I keep a starter culture in the frig in case the one I am using crashes. The one in an old pickle jar has taken off and I can see the worms on the glass with a magnifier. The side benefit of the dill pickle jar is when I open it all I smell are pickles. PS. since I can't help experimenting I added a tiny pinch of Super Greens powder to the culture. Figure I'll gut feed them, or turn them into GigantorWorms.